Winter is coming (!) 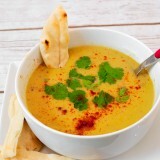 and it’s the perfect time to make some delicious lentil soup! 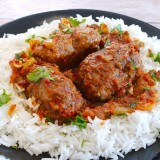 Can be either a great starter or served as a main meal during the week, when we want to take a break from meat. 500 gr (~ 1 lb) brown lentils. 1 red chili pepper chopped (optional). 2 tablespoons white wine vinegar (optional). 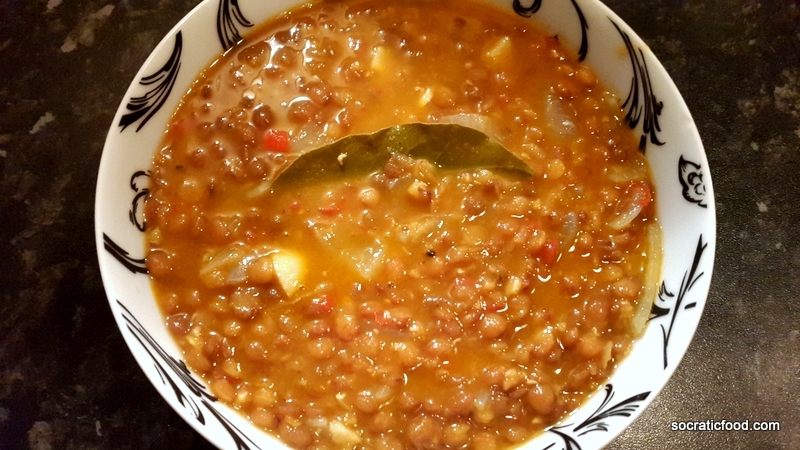 Boil the lentils in a large pot for about 10 minutes. Remove from heat and drain them. Cut the tomatoes and use a blender to create a nice and smooth paste. Keep it aside. Add half of the olive oil in the same pot and fry the onions in medium heat. When they start getting brown add the garlic and the chili pepper (I totally recommend it as it gives a nice kick to the soup). Keep frying for another 3-4 minutes while stirring. Add the lentils and fry them for a couple of minutes. Add the tomatoes from the blender, the concentrated tomato paste, the bay leafs and cover with hot water. The level of the water should be around one inch above the lentils. Add the rest of the olive oil, season with salt and pepper to taste, give it a good stir and let it cook for ~ 45 minutes in low to medium heat. 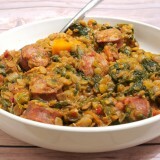 Try the lentils to check if they are nicely cooked, they should be melting in your mouth by now. If not, add a little bit of hot water and continue cooking. 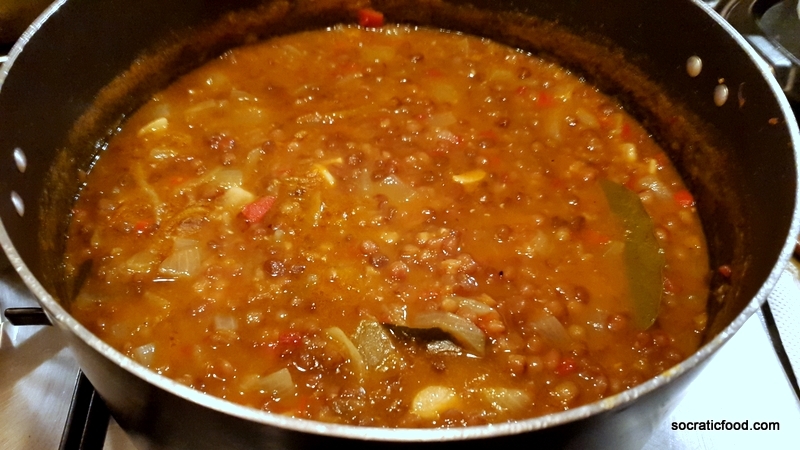 At the end, the soup should not be very diluted but rather “swim” in a thick dark sauce from the lentils. I totally recommend to add a couple of tablespoons of white wine vinegar 10 minutes before your soup is ready. It goes so well with it!